215 members have added this recipe to their cookbook. This recipe sounds delicious! I can't wait to try it on FOOTBALL SUNDAY! go steelers! 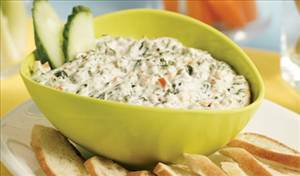 There are 46 calories in 1 serving of Water Chestnut Spinach Dip. Calorie break-down: 23% fat, 66% carbs, 11% protein.